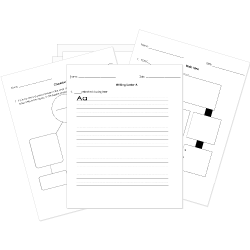 You can create printable tests and worksheets from these Literature questions! Select one or more questions using the checkboxes above each question. Then click the add selected questions to a test button before moving to another page. What vision did the boy have while watching the hawks in the sky? Fatima would wait for him to return. He would find his treasure. The oasis was going to be attacked. The Alchemist would take him to the pyramids. Which of the following is NOT true of the Elixir of Life? It keeps the alchemist from growing old. It is the liquid part of the Master Work. It can turn metal into gold. Read the first lines of the poem "Because I could not stop for Death." What type of figurative language does Death represent in these lines? In alchemy, what is the Soul of the World? Which of the following is NOT something Santiago did to attract customers to the crystal merchant's shop? What do Piggy's glasses represent? What does an oasis not allow? What quality is most important to understand the Language of the World? Why does Romeo want to be a glove on Juliet's hand? He wants to hold her hand. He wants to be her servant. He wants to touch her cheek. He wants to feel the touch of her fingers. Everyone has to participate in the lottery, even children under sixteen. Any time Santiago was about to give up, he was reminded by which of the following things the old king said EXCEPT which of the following? All the universe will conspire to help you. The Alchemist told Santiago there was one more thing he had to learn to continue his journey because it knows all things. What was it? In alchemy, which of the following is able to transform metal into gold? Why does Juliet kiss Romeo? She thinks it will revive him. She hopes there is poison on them to kill her. She wants him to know how much she loved him. According to the Alchemist, what is the only thing that makes a dream impossible to achieve? What agreement did the tribal chieftains make if Santiago's vision came true? When DNA coils up and condenses into a structure, what is that structure called? Santiago had to turn himself into the wind in 3 days to save his life. Which of the following was a way that the universe helped him?